Figure 4.21. Thymomas. A: Lateral thoracic radiograph of a 12-year-old cat demonstrating a large cranial mediastinal mass causing dorsal displacement of the trachea and silhouetting with the cardiac silhouette. B: Ultrasonographic image obtained through a right cranial intercostal approach shows a large cranial mediastinal mass lesion (arrows) of mixed echogenicity, with several anechoic (cystic or cavitated) areas (*). Cranial mediastinal vessels (V) are seen in the far field in cross section as anechoic circular structures. Thymoma was diagnosed based on ultrasonographically obtained biopsy samples. 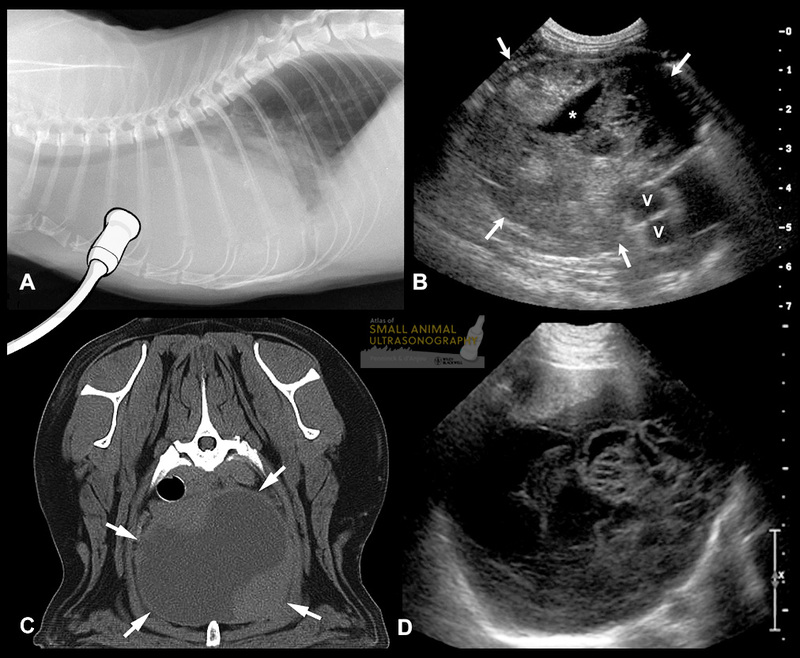 C. CT of a 11-year-old Labrador cross with a large cystic mediastinal mass (arrows). D. Ultrasonographic image of the same mass showed a markedly cystic mass. 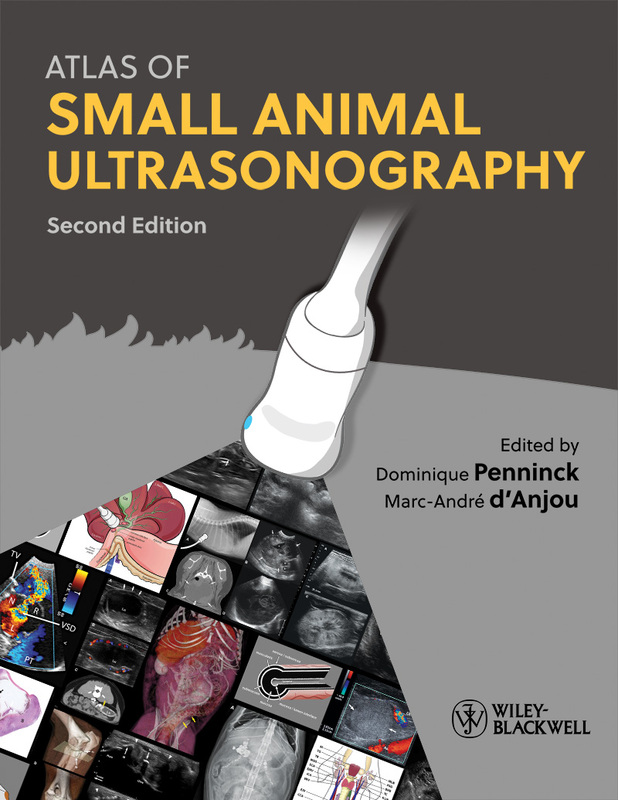 co-authored by Silke Hecht and Dominique Penninck.